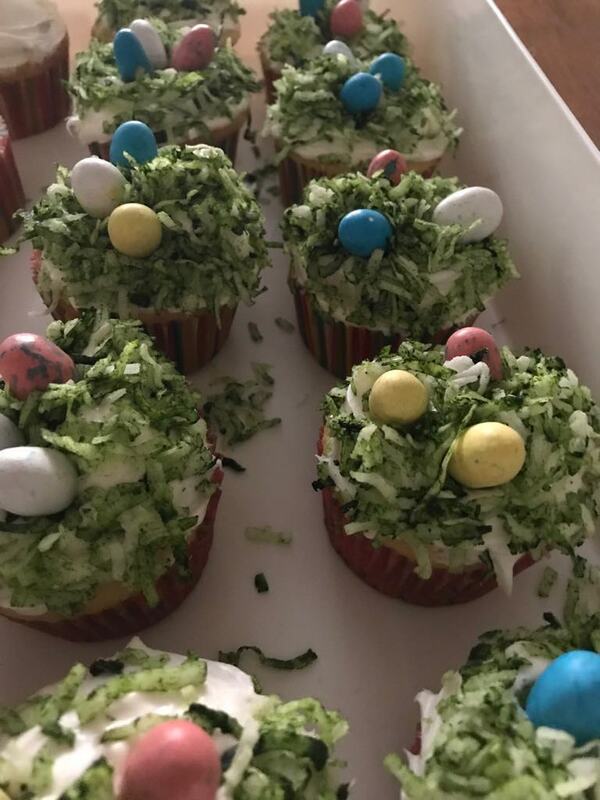 It’s time to start planning those recipes that make Easter dinner special! A luscious, creamy cheesecake is a great way to top off such a gathering and you can bake one at home, just like the professionals do. Many professional bakeries use the water bath method of making cheesecake. When using a water bath, a batter filled springform pan goes inside a larger water-filled pan. The water holds just the right temperature to keep egg proteins in the batter from bubbling to the surface which can cause undesirable cracks. The result is a rich, creamy dessert baked uniformly from the edges to the center and is smooth across the top. The Easy Bath Cheesecake Wrap can help make that happen! First, remove the eggs from the refrigerator to come to room temperature. Melt butter in the microwave for 45 seconds. Mix graham crumbs and sugar in medium bowl, add butter and mix well. Spray collar of the pan with bake-release spray or vegetable spray. Press crumb mixture into bottom of pan tightly with the bottom of a flat glass. Bake at 300F for 13 minutes. Soften cream cheese in microwave on defrost or low for approximately 3 minutes. Add the sugar and flour, mix until very creamy, scraping the sides often. Add the vanilla and continue to mix. Add the sour cream and beat until incorporated. Add the eggs, 2 at a time, but only barely beat, just until mixed in. DO NOT OVERBEAT! Place springform pan with prepared crust into the Easy Bath Cheesecake Wrap. Place both into the water bath. Pour batter into prepared crust. Fill water bath with tap water to designated fill line and place in the oven. Bake at 300F for 1 hour. Then turn off oven, leave cheesecake in oven with door ajar 6-12” for 1-2 hours. Remove from oven, from the water bath and leave on counter for another hour if possible. Then place in refrigerator overnight. Next day, loosen collar and remove gently. Serve and enjoy as is or top with fruit or anything you choose! Also freezes well. 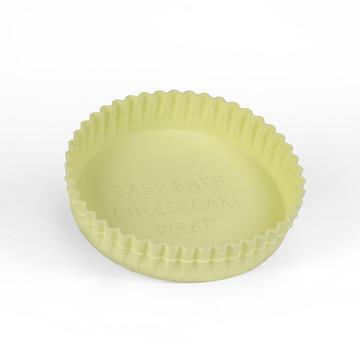 This reusable, food-grade silicone wrap keeps the water bath from seeping into the cheesecake batter. Traditionally, bakers use multiple layers of aluminium foil to prevent leakage which is both tedious and wasteful. The Wrap eliminates those concerns! It is oven-proof to 475F, dishwasher-safe, and water-proof. And even if you’re not baking in a water bath, the Wrap will contain any batter leaks that may otherwise drip down to your oven floor creating a burned-on mess that is difficult to clean! I make a lot of cheesecakes so I’m going to check out the cheesecake wrap. I’m also going to try your recipe next time as well. I love finding new recipes for cheesecakes.